« #19 Lame Gifts, What have you received? Accountants live and die by the pending list. It’s the heart of their operation and acts as mission control. For an accountant, to have to worry about version control (i.e. which pending list is the most recent) is a set back that will cost at least a day to catch up. A pending list is, as the name implies, an organized list of items that remain pending or outstanding. 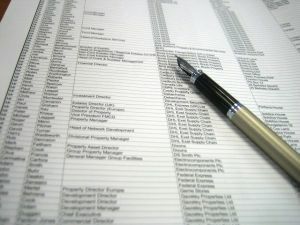 A typical pending list may include columns for what is outstanding, which accounting process, who is responsible, and when it was asked for. Pending lists do not get shorter as the filing deadline approaches. You would expect them to get shorter as work is done, not longer and nastier as is the usual case. Tasks marked with highest urgency are the ones that everyone sees right through. Common sense dictates that an accountant has marked certain items *Important* for a good reason. Then again, if accountants had their way, every single task would be marked highest priority. When updated by more than one person, the pending list takes on different, inaccurate versions. It’s hard to tell which version is the pending list’s true form. As different people update different Excel sheets in the same workbook, nobody has a complete picture of what is outstanding. Working on the pending list past midnight, accountants develop their own night vision. The pending list is the last thing done before an accountant can go home and is sent out after midnight. The good news for you is that an accountant’s life is simple and predictable. If an accountant has received everything on the pending list, life is good. Since this is probably not the case (even after filing), an accountant’s life is miserable as it revolves around updating and requesting things on the list.